An increasingly public power struggle between KPV LV leader and former prime minister nominee Aldis Gobzems and party founder and chairman Artis Kaimiņš hit new levels of drama on Wednesday when Gobzems made the bombshell announcement that he would testify against fellow party leader Artuss Kaimiņš to the country's anti-corruption bureau (KNAB) on Friday regarding an alleged 100,000 donation and money laundering scheme connected with powerful Ventspils-based lawyer Rudolfs Meroni. The two politicians exchanged blows during the confirmation debate for the newly minted government led by Prime Minister Krišjānis Kariņš, with Gobzems leading a rebel group of five KPV LV deputies who refused to confirm the new government. 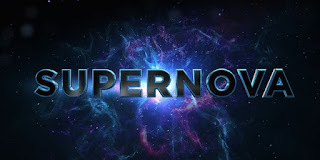 The two party leaders have insisted that the KPV LV faction remains united and that no split is imminent, but this week's developments all but disprove those claims. Prosecutor General Ēriks Kalnmeiers has recommended that a criminal prosecution be launched against JKP Saeima deputy Juris Jurašs for disclosing state secrets during his time as an employee of the state's anti-corruption bureau KNAB, actions that Jurašs has claimed were whistleblowing. Jurašs still has the support of his party and especially JKP chairman Jānis Bordāns, who claims that the action against the parliamentarian is part of a conspiracy for existing political forces to retain power, including Daugavpils Mayor Andrejs Elksniņš and an adviser to previous Prime Minister Māris Kučinskis. 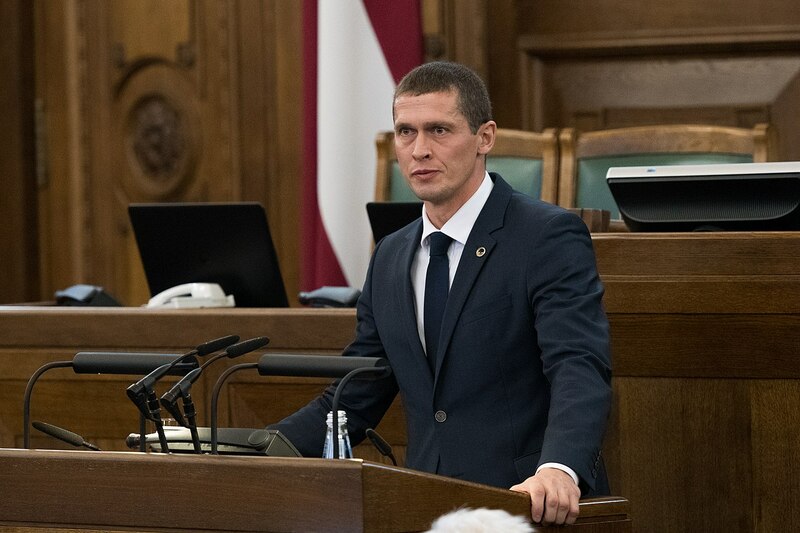 On Thursday, Saeima voted to delay an official decision over whether not to to hand Jurašs over to authorities for prosecution. The European Commission has given the go-ahead for the American firm Blackstone to buy a majority stake in Luminor, the Baltic states' third largest bank following the merger of DNB and Nordea's Baltic subsidiaries. 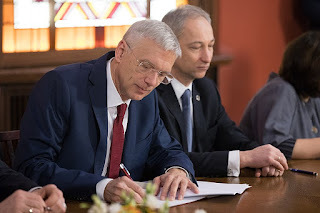 Krišjānis Kariņš' government is expected to submit an official 2019 budget to Saeima on March 8th, putting an end to the temporary budget that has been in place due to the lengthy and inconclusive coalition talks. The state's revenue service VID has reported that it collected €9.4 billion toward's Latvia's budget, which is 1.3% higher than its target of €9.28 billion. Swedbank, the country's largest bank, has closed its branch in the northern border town of Valka, leaving the community without local access to banking services. 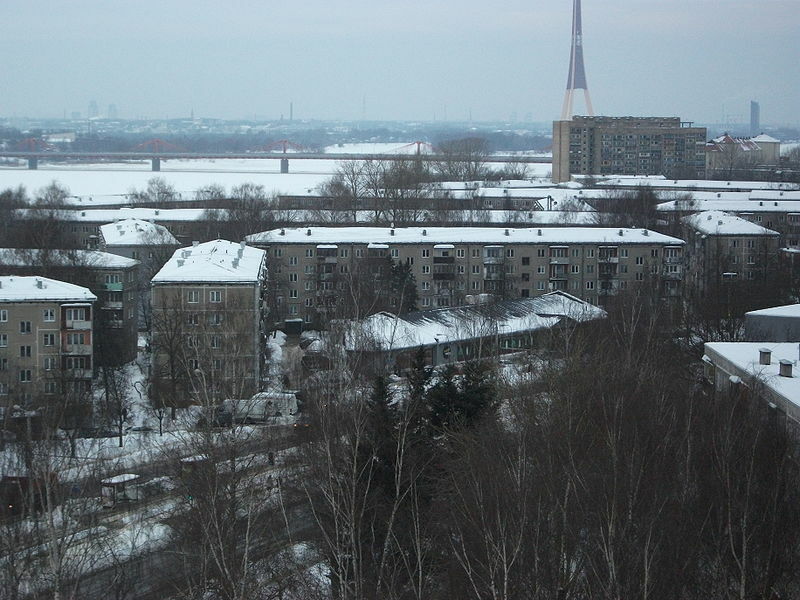 A report by the Ministry of Economics has determined that nearly all balconies in the Soviet-era series 316 and 318 Khrushchyovka apartment buildings will need to be repaired within the next few years, with costs ranging from €224 to €3418 per balcony. 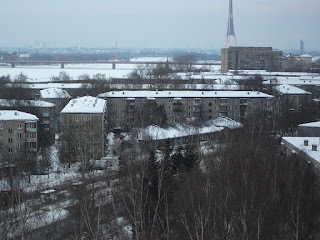 The typically 5-story Khrushchyovka buildings are named after Soviet Premier Nikita Khrushchev, who envisioned them as a barebones cost-efficient short-term solution to the post-war housing crisis. Though they were intended to last only a few decades before an improved Soviet economy would theoretically allow for them to be replaced by more comfortable longer-term structures, tens of thousands of Latvian residents still live in them today. If you live in a Soviet-era building, Latvia Weekly encourages you to have your balcony inspected or to at least exercise caution. This year's flu season has hit epidemic levels in all regions of Latvia, with an average of 169 cases per 100,000 residents and nine deaths recorded so far according to the country's Center for Disease Prevention and Control (SPKC). The Alfa shopping mall in Rīga's northern region of Jugla was heavily criticized for emergency exit doors that failed to open during a fire alarm, an unacceptable situation to local residents following the 2013 Maxima supermarket roof collapse tragedy that killed 54 people in Rīga's Zolitūde neighborhood. 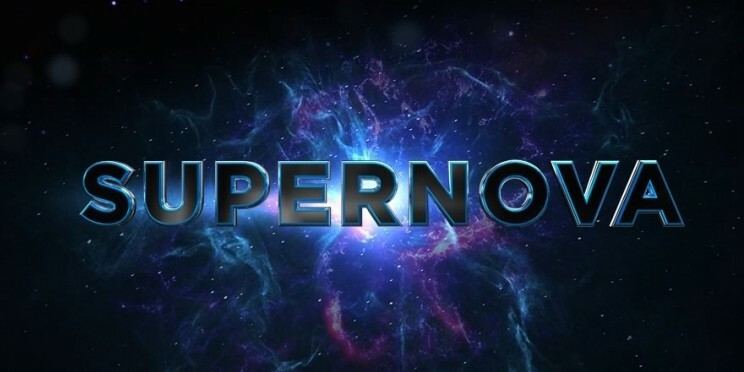 Four semifinalists from LTV's music contest show "Supernova" were selected to compete in February 9th's finals, with the winner to represent Latvia at Eurovision in Tel Aviv, Israel this spring: Samanta Tīna, Edgars Kreilis, Aivo Oskis, and the group Laime pilgīga. The Latvian Journalist's Association has issued a protest regarding the hiring procedure for a new head of Latvijas Televīzija (a part of Latvian Public Media) in the wake of the surprise firing of chairman Ivars Belte in December by the National Electronic Mass Media Council watchdog (NEPLP), claiming that the government's goal in the hiring process is tighter control over public media. NEPLP criticized the association for allegedly "disseminating false information" with the statement. The owner of Latvia's LETA news agency, the Estonian MM group, has been fined €32,000 for improper hiring procedures in the wake of the 2015 company takeover. 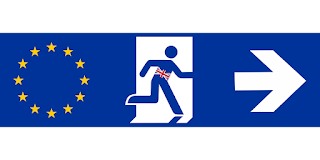 Foreign Minister Edgars Rinkēvičs has announced that the status of British citizens who arrive in Latvia before the expected exit of the UK from the European Union on March 29th will remain the same as before, expecting that the status of Latvian citizens in the UK will remain the same as well. Aleksejs Loskutovs, the former head of the country's anti-corruption bureau KNAB whose controversial firing led to the fall of Prime Minister Aigars Kalvītīs' government in 2007, has been chosen to replace Krišjānis Kariņš as a member of European Parliament until the next election in May. Former prime minister candidate Vjačeslavs Dombrovskis of the traditionally Kremlin-friendly Saskaņa party, the largest single faction in Saeima, has announced his intention to run for European Parliament. Germans Milušs, who was convicted of bribery in 2005 Jūrmala municipal elections has been stripped of his Latvian citizenship following a mild sentencing by Russian authorities that will allow him to return to Latvia as early as next year. Nearly 100 people turned up to a picket outside of Saeima Tuesday to protest the new government that had been expected to be confirmed the next day. The protest was not organized by any political party, but participants showed support for the five KPV LV deputies that refused to vote for the new government despite their party's participation in the coalition. Latvia’s National Armed Forces will continue to maintain its current presence in Iraq and Afghanistan, despite the expected withdrawal of U.S. forces from the region. Dāvis Bertāns, Latvian forward for the San Antonio Spurs, scored a team second-best 21 points in a game against the Washington Wizards last week. 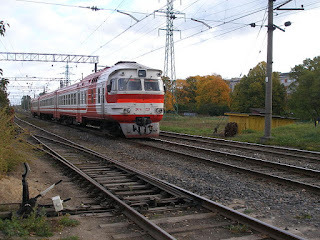 The state's Public Procurement Monitoring Bureau has blocked the signing of a €225,303,262 contract between Latvia's passenger rail service and the Spanish "Talgo" firm due to flaws in the tender process, with representatives from the rail service confident that those flaws will be addressed in the near future and that the deal will still go ahead as planned. Tallinn airport CEO Piret Murk-Dubout announced in an interview this week that he expects Latvia's airBaltic flag carrier to become the largest carrier operating in Estonia, due in part to Estonian carrier Nordica's decline and airBaltic's growth. According to a report by LSM, Rezekne residents are not satisfied with the Clear R company's work in clearing snow from the city's streets and sidewalks, with the company already having been fined more than €3,000 last year and more fines expected in the near future. That's all for this week! Make sure to stay warm and safe, as roads and sidewalks will continue to be slippery. 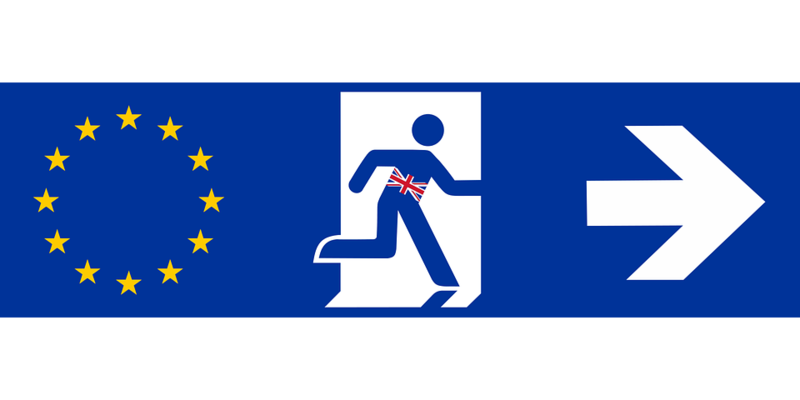 Take care, and see you next week!